Your website tells a powerful story about your nonprofit’s supporters and donors. 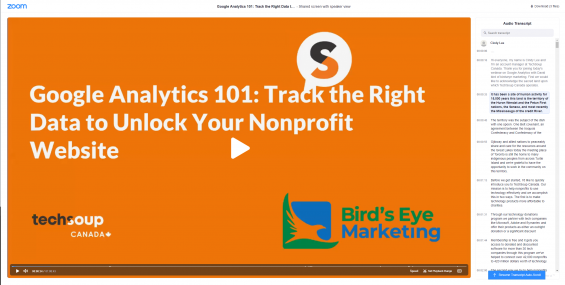 Google Analytics (a part of your Google Suite for Nonprofits) is key to unlocking that story and driving action, but you need to ask the right questions. Below is the webinar recording, presentation slidedeck, and link to the audio transcript. You can view the transcribed recording alongside the video recording.